Get crafty with us! This holiday season, join us for some DIY fun. 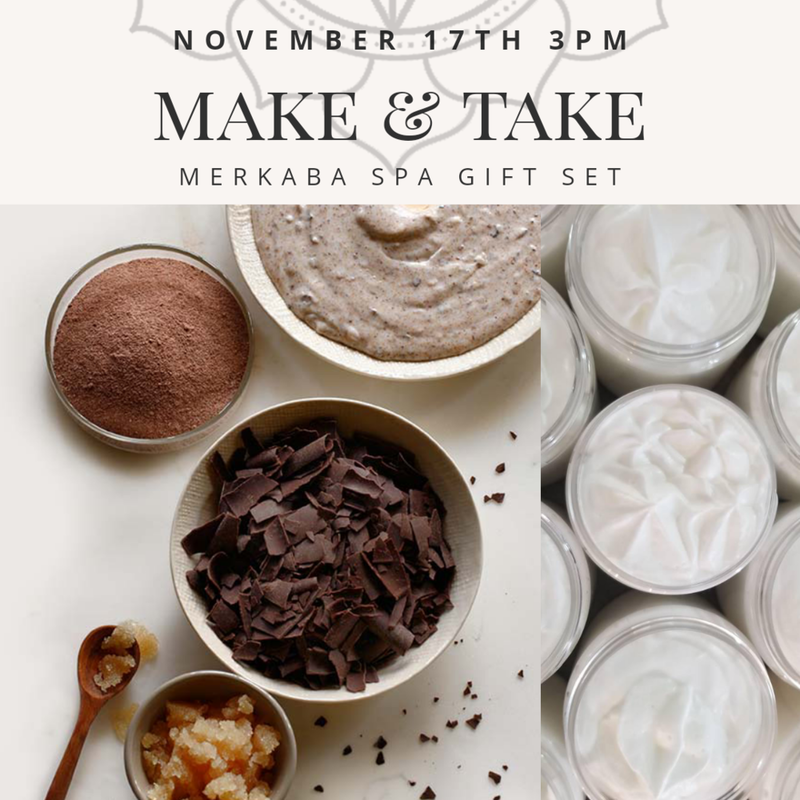 Saturday November 17th at 3pm we will help you put together Holiday inspired, Spa Gift Set's for your loved ones. Includes everything you need to make a Sugar or Salt Glow; Scented Whipped Body Butter; Essential Oil Room Spray; hand crafted labels and gift basket. Your loved ones will be thrilled!